Arrogance: Mocked by late-night comedians and “experts” alike, Sarah Palin could see from her front porch that candidate Obama’s response to Moscow’s invasion of Georgia would encourage it also to invade Ukraine. Whatever this Russian version of an “overseas contingency operation” is called, it was foreseen as the inevitable consequence of electing a president who believed America was the last colonial power and whose withdrawal from the world stage would get rid of a major distraction to his fundamental transformation of America. Her prediction was derided by the likes of Foreign Policy magazine and its editor Blake Hounshell, who now is one of the editors of Politico magazine, as “strange” and “extremely far-fetched.” This prediction, after all, was from an in-over-her-head Wasilla, Alaska, housewife who said she could see Russia from her front porch. What she could see and what President Obama to this day can’t are the consequences of appeasement and that the Cold War and all contests between free men and tyrants are not misunderstandings that can be dealt with by hitting a “reset” button, but are necessary resistance by free men to tyrants who would snuff all freedom out. Palin foresaw a weak president who would bow to world leaders as he was apologizing to them for American excess. President Obama would go on to cave to Russian pressure and betray our NATO allies on missile defense, promising Russia’s leaders he would have more “flexibility” to bend to their will after his reelection. Palin justifiably took to Facebook Friday to remind supporters and detractors alike of her prediction. Leftist know-it-alls and mainstream media talking heads insisted that 1776 was the correct year, when in fact Palin was right: The Boston Tea Party she referred to — a protest of British oppressive taxation that led to the creation of the grass-roots namesake movement — happened on Dec. 16, 1773. As our own Andrew Malcolm pointed out in a June 2011 piece in the Los Angeles Times, Palin was also right when she said Paul Revere, the famous midnight rider, also warned the British that the Americans were coming. Those honoring the National Day of Prayer this week are committed to our nation’s biblical foundation, and we thank selfless Americans who protect this Christian nation’s freedom of religion! In reverence to the Lord’s grace and mercy we will never allow God to be booted from the public square. 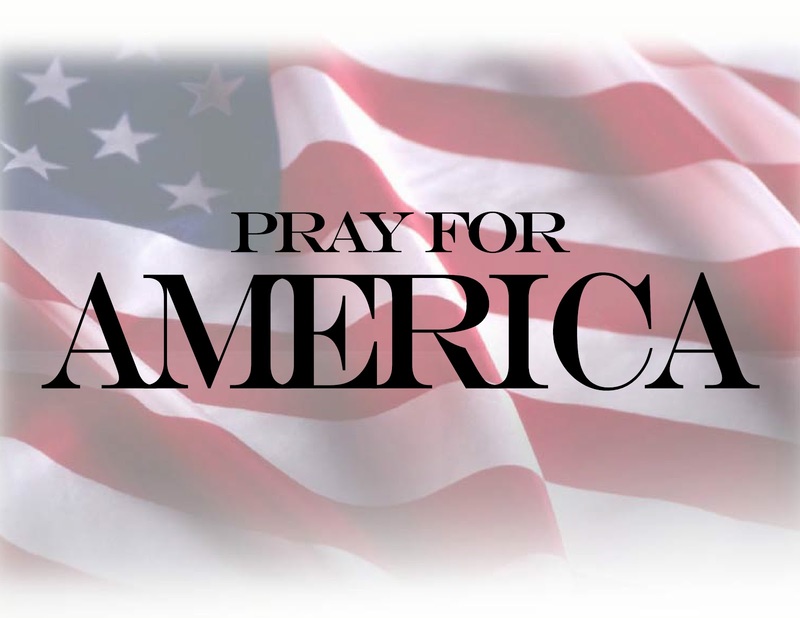 The public acknowledgement of our need for God’s blessing has been with us from the beginning – from the eve of our Revolution, when the First Continental Congress called for “a day of publick humiliation, fasting, and prayer,” to 1952, when Congress established the National Day of Prayer. It was signed it into law so we would “turn to God in prayer,” knowing our need for His hand of protection and guidance. Today, more than ever, we need the Almighty’s mercy, and we are actually invited by Him to humbly ask that He bless this land. Please pray that He will navigate us through these troubling times, dedicating ourselves and our great nation back to Him. Today is our National Day of Prayer, a good day to ask, “Does the Constitution provide a ”wall of separation“ between church and state? The short answer is “yes,” but most certainly not the faux wall constructed by judicial activists over the last century. Other Founders continued the tradition. In other words, Congress may not mandate that a particular religion be nationalized, and others be prohibited. Our Founders were not radical secularists. Far from it. One need only examine their many writings on the subject as evidence. But, rightly, they didn’t want the United States to be wedded with a particular church, as was the case with England and the Anglican Church. As Madison wrote, our Constitution, the one he penned, does not bar the government from designating “particular days for religious worship throughout the State,” though now the courts prohibit prayers before local football games. Indeed, in the latter half of the 20th century, judicial activists (the “despotic branch”) as Jefferson called them) have “interpreted” the First Amendment to suit their political agendas, placing evermore severe constraints upon the free exercise of religion while wholly misrepresenting the aforementioned “Wall of Separation” in a concerted effort to expel religious practice from any and all public forums. They have done so by falsely putting forth a “living constitution,” a revisionist document which has little resemblance to the authentic Constitution that once was our Republic’s standard for Rule of Law. The intended consequence of this artificial barrier between church and state is to remove the unmistakable influence of our Creator from all public forums, particularly government education institutions, and thus, over time, to disabuse belief in a sovereign God and the notion of natural Rights. This erosion of knowledge about the origin of our Rights, the very foundation of our country and basis of our Constitution, has dire implications for the future of our Essential Liberty. Naturally, the Despotic Branch is challenging that resolution, asserting that religion and politics don’t mix. That ruling, of course, has no basis in our Constitution, but merely among those who have contorted its true meaning into a grotesque remnant of its original brilliance. Perhaps Ms. Crabb, and all other jurists who are attempting to amend our Constitution by judicial diktat in full disregard for the constitutional prescription for amendment in Article 5, should pause and consider the faith of our Founders. Perhaps they should look into the depth of faith that motivated the actions of Patriot Founders John Hancock, Roger Sherman, John Dickinson, Hugh Williamson, Benjamin Rush, Samuel Huntington, John Adams, William Williams, Robert Treat Paine, Rufus King, William Livingston, James Wilson, George Mason and Patrick Henry. Here are but a few examples of how our Founders expressed their faith when in positions of authority. Even those who were cautious about the public expressions of religion left evidence of their views on Christianity. But beyond religious references – our Founders unequivocally enumerated the Natural Rights of all men in our Declaration of Independence. The first paragraph of our Declaration references “the separate and equal station to which the Laws of Nature and of Nature’s God entitle them,” which informs the words “endowed by their Creator” in the second paragraph.